도리사는 신라에 불교가 처음 전해질 당시 전설에 나오는 아도(阿度)화상과 관련이 있는 절이다. 아도가 불교를 전파하기 위하여 서라벌에 갔다 돌아오는 길에 한겨울인데도 복숭아꽃과 오얏꽃이 만발하여 그곳에 절을 짓고 도리사라 하였다 한다. 정확하게 언제 세워졌는지 알 수 없으나 신라 최초의 절이라고 전한다. 이 석탑은 대웅전 앞뜰에 있으며, 전체적으로 5개층을 이루고 있는데, 맨 아래층은 탑을 받치는 역할을 하는 기단(基壇)으로 여겨진다. 위의 2개 층은 탑의 중심부분인 탑신부(塔身部)이다. 탑신부의 1층과 2층 몸돌은 작은 정사각형의 돌을 2∼3단으로 쌓아 마치 벽돌을 쌓아 올린 것처럼 보인다. 지붕돌 역시 벽돌탑을 모방한 석탑처럼 층단을 이루고 있다. 주목되는 점은 각각 한면에 문틀을 돋을새김한 널돌이 끼워져 있어 문짝모양을 표현한 듯하다. 맨 위의 2개층은 탑의 머리장식받침인 노반(露盤)이 포개진 것인지, 아니면 위층만 노반이고 아래층은 탑신부로 보아야 하는지가 분명하지 않다. 일반적인 탑들과는 다른 특이한 형태로 몸돌과 지붕돌 윗부분의 층단구성이 모전석탑처럼 보인다. 이처럼 희귀한 모습을 한 탑은 유례를 찾아보기 힘들며, 고려시대에 만들어졌을 것으로 짐작하고 있다. Erected in the front yard of the Daeungjeon Hall (the main hall) at Dorisa Temple*, this pagoda consists of five stories. The bottom story is considered to be the platform supporting the main body of the pagoda, comprising the two middle stories. 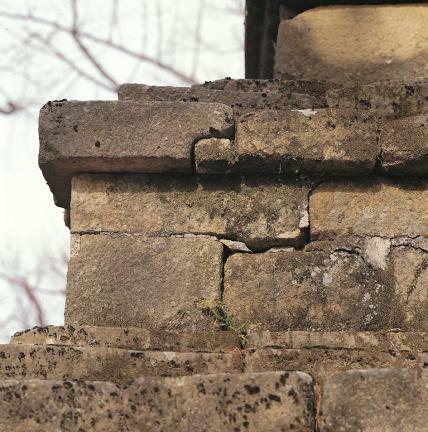 The core parts of the first and second stories were built by piling up two to three layers of small square stones as if they were built with bricks. 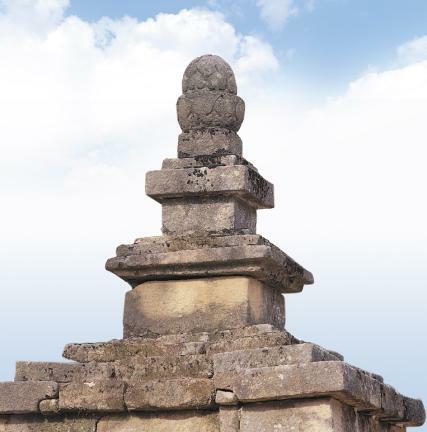 The roof stones have a tiered structure as in the style of a stone pagoda, though this was built in imitation of a brick pagoda. It is not clear whether the top two stories are the folded base for the finial, or the lower story belongs to the main body while the upper story is the finial base. 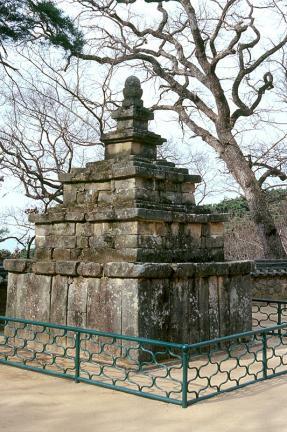 This pagoda was built in a unique style compared to other stone pagodas in that the composition of the layers for the core stones and the upper part of the roof stones make it look like a brick pagoda. 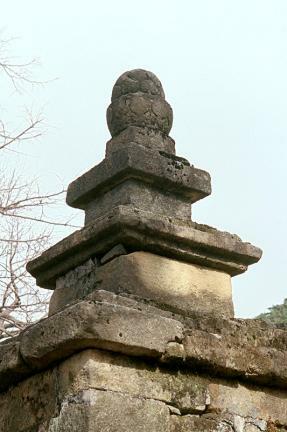 It is a rare example of a stone pagoda with such a structure, and appears to have been erected during the Goryeo Dynasty. 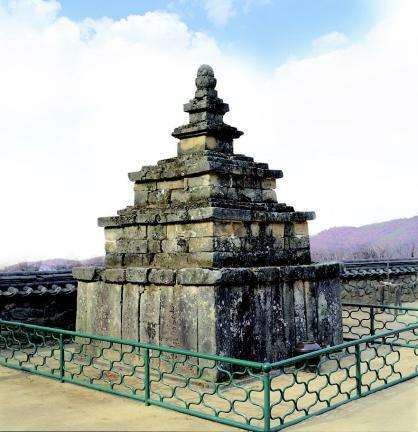 * Dorisa Temple has a connection with Buddhist Monk Ado, the main character of the legend about the introduction of Buddhism to the Silla Dynasty. On the way back from Seorabeol (the old capital of the Silla Dynasty), where he went in order to spread Buddhism, Ado saw a place blooming with pear blossom as well as peach blossom in winter. He built a temple there and named it Dorisa (meaning "the temple of peach and pear"). 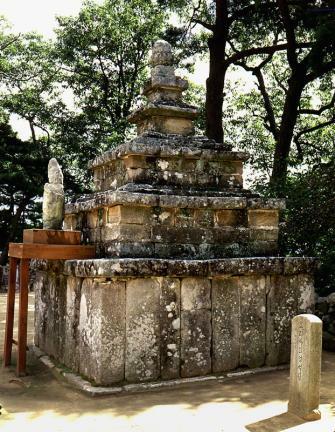 The exact date of construction is not known, though it is believed to have been the first temple of the Silla Dynasty.